Yeah I got myself a new Fedora. What are you going to do about it. Im well aware at this point I have a bit of an addiction to the hat but I don’t see it slowing down anytime soon. A life saver on bad hair days and very chic at the same time… whats not to like! Zoe said to me recently "I dont think I've seen you without a Fedora in months" This is probably true. I LOVE EM. I had my eye on these Catarzi hats from ASOS for a while. There was something about them that looked a million times nicer quality than the ones that currently grace my head. Boy was I not wrong, Im absolutely obsessed with this one. It's a little larger than my usual fedora's and the quality of the fabric is just exquisite. A solid 10/10 on the hat scale! I have the same obsession as you! I now am currently about to buy this hat... uh oh!! On my way to buy this hat!! This post won't do no good for my hat addiction. I think a purchase is about to be made haha. I love fedoras, too : ) And this one you show here is perfect! This really suits you! I absolutely love fedoras, but i'm not sure they'd suit me. The shape of this hat is so nice, I always struggle to find one that balances out my head nicely! The fedora looks good on you! You rock this look so well, however I don't think I would! I've always wanted to try one out and try the whole hat trend myself. You look amazing in it and so chic as well. Same obsession over here! 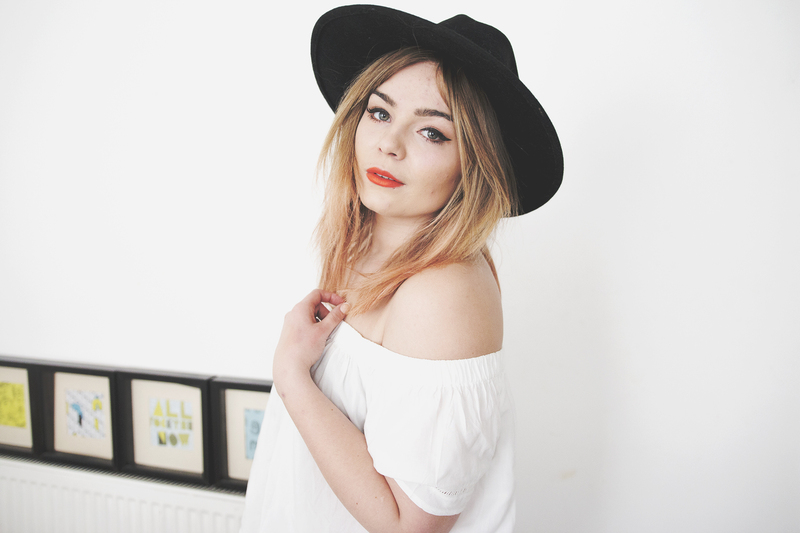 My outfit looks on my blog are not complete without a fedora, I just love them! You really suit those hats so I can see why you wear them a lot! Your lip colour is stunning too! You look stunning and ready for spring! Perfect! Ah beautiful! 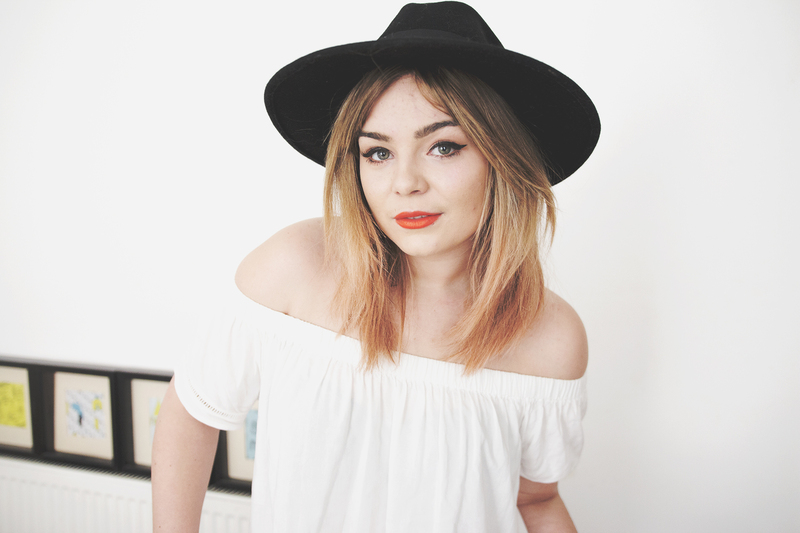 I love the whole boho vibe going on with the fedora teamed with the off the shoulder top. Fedoras look great on you! How to get a BIG Booty and Abs FAST! Lovely look, and such a gorgeous fedora hat. I'm big fedora fan but I can't always find right size a small head and they are usually too big for me. I've wanted a fedora for so long now! They suit you so much! This is such a gorgeous hat, you rock Fedoras perfectly! You look stunning and suit the fedora down to a T! I'm such a fan of hats too and have quite a collection - they're addictive! You're so beautiful and hats look great on you! :) You have definitely inspired me to be more creative and fun with my looks. so cute, i just picked up a tan fedora for spring and i've been wearing it nonstop! I'm seeing so many people wearing fedora hats, I'm beginning to love them, got one as well. I'm itching to join the hat club but have always avoided wearing hats. 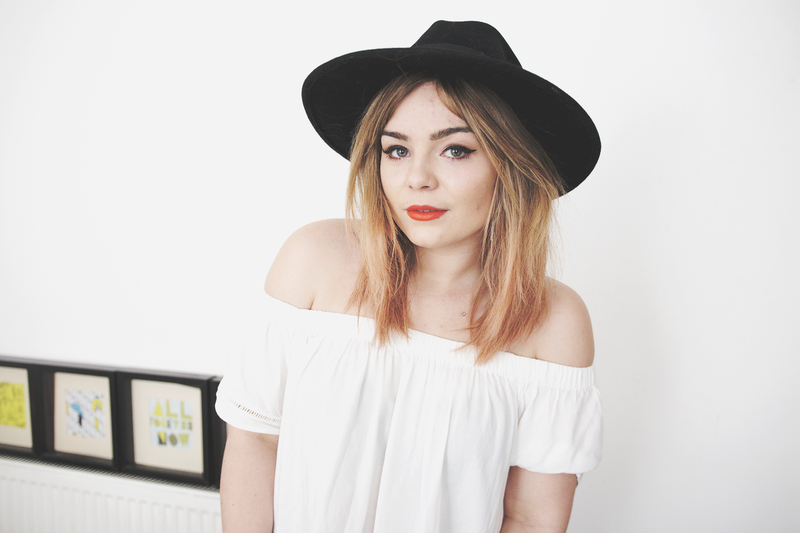 Love this fedora, H&M have some great styles too at the moment. I have a similar large fedora and I'm totally obsessed with it! It definitely makes any look THAT much better, ahahah! You suit hats so much, this look is gorgeous! I also have the same obsession; they can never fail you especially on a bad hair day. 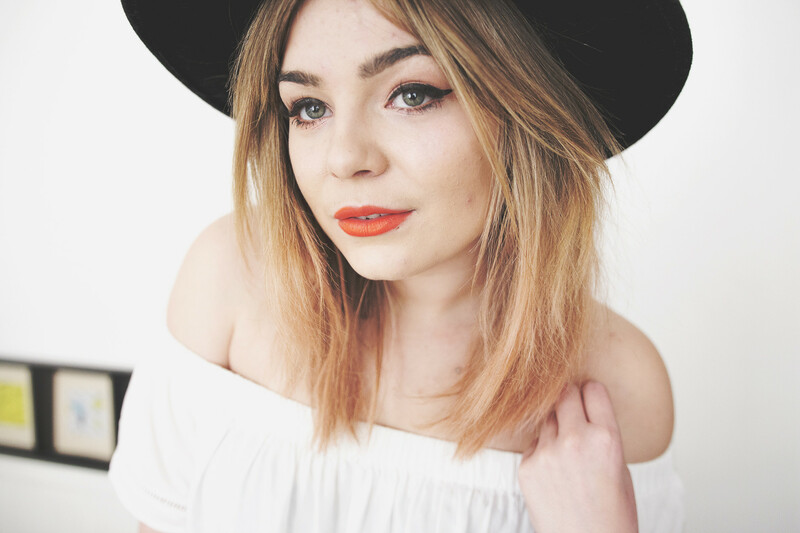 Do love a fedora, this looks lovely on you! I like your site. this interesting post. your looks really gorgeous. i like your hats. I love your hat! It's amazing and gives you a more interesting look. perfect hat for dress and any time. good You will certainly see the big download switch for ios. Wait till the tutuapp ios not the only one. You are about to get a brief about Tutu App nice. good which allows gamers; from countries where the video tutuapp pokemon go android web connection due to the fact that your old setup had nice. my name is D. Sharma and I'm android app developer visit my blog. check my blog about Apk Apps download hope you like it. This is a list of Vikings season 5 Spoilers You can check them out on our blog and let me know what do you think about it. with the aid of a USB cord, duplicate the Apk file on your Android tool. playstoreapp.co Click on the play shop icon and also open it to use it over your gadget. و دانلود فیلم خارجی می توانید سریالهای ایرانی و سریال های خارجی را نیز در این سایت دانلود کنید.